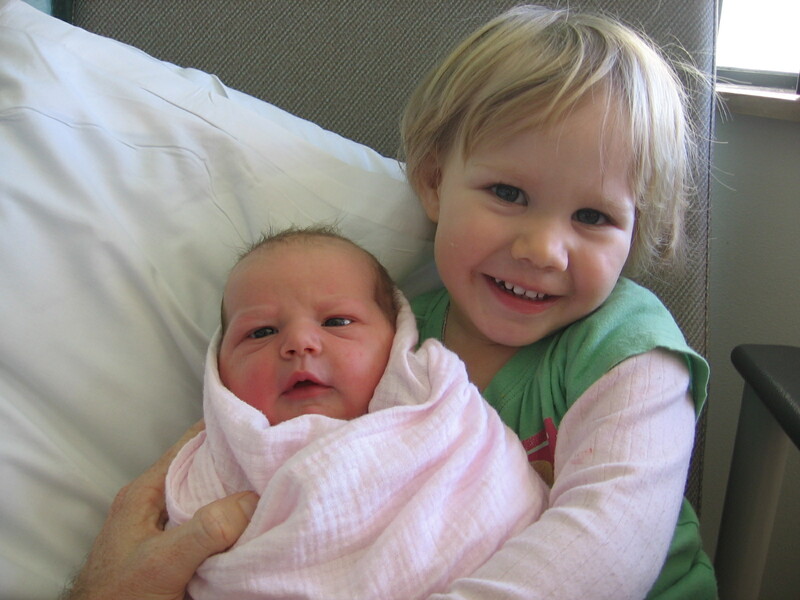 The little one has arrived – in a manner that quite surprised us all … the cheeky little thing! After all these months of dreaming and writing and preparing for my second home birth, it didn’t happen. 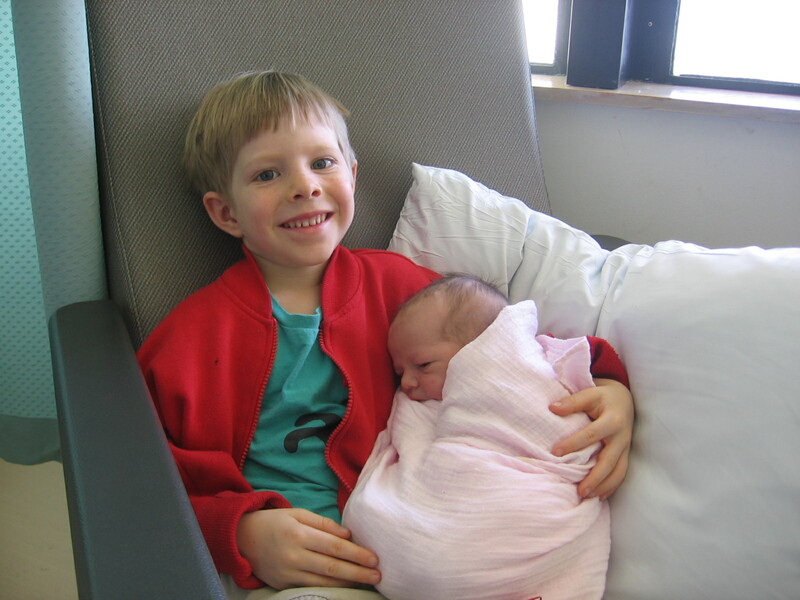 In fact I had a bit of anti-home birth … in fact I didn’t even go into labour at all!! I knew this labour would be completely different from my other two, but I was at least expecting labour as part of the birth! But there you go – that just reinforces what I’ve known all along: you’ve got to be prepared for anything. So what happened? My waters broke early in the morning, but with no contractions so I went back to sleep – or tried to … I was a little excited 🙂 Once I woke up I texted my midwife, then when she came over we noticed the fluid was looking a bit green, and after a moment’s thought, she recommended that we go to hospital for monitoring. Green amniotic fluid suggests meconium (baby’s first poo), and if baby has pooed in the womb then that is considered a sign of distress. So after arranging care for the children off we went, where I met what seemed like a stream of people all intent on telling me the same thing in as many different ways as they could. We tried to start labour, but still nothing was happening, except that when I moved about baby’s heart rate dropped … which wasn’t good. I took a moment to adjust my thinking and in we went. Yeah I know … I make it sound like an easy emotional process … it was something I’ve tucked away for later processing I think, but I don’t regret the birth for a moment – who wouldn’t rather have a happy, safely birthed baby? 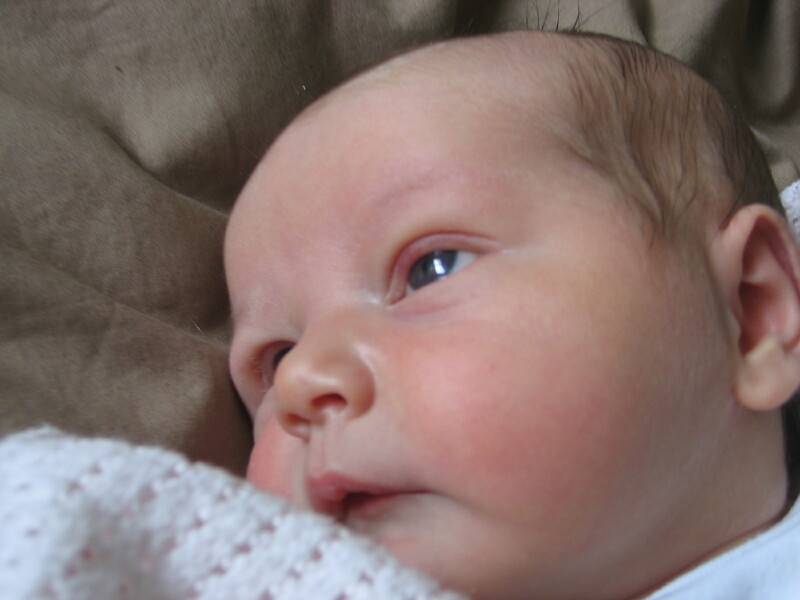 The thing is, our little one emerged with a perfect heart rate, perfect breathing, perfect colouring, perfect little cry, perfect everything … not remotely distressed apart from the obvious shock of being pulled out into the light by strange hands. And there she was .. another daughter! I think that was probably the biggest surprise of all! While I have never felt any ‘vibes’ at all about who might be in there, I really did feel a moment of “OH! You are a girl!” when she was presented to me – and then “OH! You have hair! And it is black!” and then she snuggled in and I was lost in baby land. My husband was so moved and he was choking on his words. All we could do was laugh and hold hands, and touch her. Congratulations to you and your family! Thank you for sharing your birth story Jen. And welcome to earth sweet Linden Lucille Marie xoxoxo. Congratulations! She’s beautiful, and such a lovely name. Jennifer, I had the green amniotic fluid with my first one and I wish I had been more confident to make the decision for a C-section right away like you! My desire for natural childbirth took over and so we waited 19 hours and 29 different interventions later and still ended up with a C-section. What a gift to your baby that you made this decision which led to getting sweet Linden into your arms sooner rather than later. Congratulations, mama!! I think it helped that I have had a previous cesarean, so I knew what to expect for the process and wasn’t frightened about it. I wasn’t happy about it, but what was I going to do? It was hard, with everyone in the room quietly staring at me, waiting for me to say ‘yes’, but it had to be done. On reflection I COULD have waited, but without knowing for sure that she was going to be all right, it seemed like the right thing at the time. Linden is beautiful and her name is lovely. Enjoy your babymoon and recover well and swiftly.